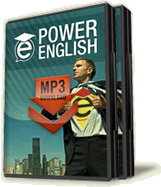 To register at Official Effortless English Forum you need to buy "Power English" or "Original Effortless English Lessons". Today forum has 30,244 members and 56,530 posts. Очень хочу изучать английский через skype, так как нет времени ездить на курсы или к репетитору на дом. Начала поиск на форуме http://preply.com/angliyskiy-po-skype, но буду рада и другим контактам. Whenever we were on phone he always talked about you. A common complaint for a lot of us is “I don’t know how to find my passion in life”. .....and sad to say that i am one of those who don't know yet my passion?how about you? Don't worry Dear be happy, You said passion is not available in your life means still you don't know yourself. First know about your ability what can you do for yourself, your family and your country and what is the best thing in yourself. I agree with you, totally. Your question is one of the most important questions that has been existed in human life.If someone find his/her passion, he/she will enjoy his life and give energy to others. Talk to me and improve English with me! AJ recommends that you start with the power English lesson. It'll improve your English a lot. try to enhance your self confidence . do not afraid to speak english in front of many people . note the key of success is failure .we will learn from our mistakes.failure gives motivate to us. sir i wanna chatting some one in online so what to do ...........? I recorded on effortless english club. but the commands such as setting does not work. how can I unsubscribe from club? yes aj has the ability and creativity about the learning method.but in early days , i though he was a chatter, because he speaks just like a jack sparroy in p of caribian. hey, I'm also from the Philippines and I badly want to learn English because I want to be part of call center industry. Unfortunately my laptop doesn't have a camera so we can't do the Skype thing but if you want you can add me on my Facebook account so that we can chat and correct each other in English. Here is my email > taipeiassasin@gmail.com my name is Angelo Arellano. me too, i'm afraid of speaking english in front of foreigners . may be they will notice my mistakes. i'm too shy. I'll start learn English today :) ! learning program for over a year already. How is your progress? hi! Rut. how the Effortless English is it nice. ko biet gi thi hoi kho day b, vi de theo dc AJ chac b fai biet so so!!! i had already purchased ur power english lessons. Could u pls tell me how to join ur forum? Hey everyone how do i participate this forum? It seems someone who want to join forum has to have a official account. I am searching information about this. I don't know how to join this forum without buying these course. I want to learn by myself before join a course. We recommend Effortless English. We use them as a grammar base with our students when they do English classes on Skype with us. Have a nice day! how can get a member of that class? could any one tell me, how can i join effortless english club forum? i am using aj's system and practicing it from one year,its amazing. aj is a wonderful teacher,i have never ever seen a teacher like him. hi,i am manish from india.could any one tell me, how can i join effortless english club forum? i am using aj's system and practicing it from one year,its amazing. aj is a wonderful teacher,i have never ever seen a teacher like him. hellow iam new to this nice forum i would like to join you but i don'n know? "AJ you aree amazing english teacher. I have never seen a teacher like you. one daya I also wanna be a teacher like you.I also wanna help people like you. I really appriciate you. You are one of hero in my life. your podcast are really helpful. I love them so much. Hi, Can you speak Vietnamese ? hello, I'm new here. I,d like to ask how much one of you improve his/her language thanks to these lessons after several sets ? and this method has saved my life, you are an amazing teacher who have power and love for his students, I will be always thankful for found your lessons. I don't know how effective is the course as I have just started with it but yes thr is something about him, his passion excites...!! hi guys how u doin? im farzan from Urmia and i just wanted to write something! you know i think this method is really great, because i feel relax when i'm listening to these lessons and i'm a university student so i spend almost 1 hour a day in bus (university is in countryside) and you know it's really enjoyable and easy! hi everybody im h.kiani from IRAN.i followed EE lessons and i found out that's really worked. i need someone to practice in English. my skype's id is nevergivup86. nice to meet you. plz add me. thanks! how long have you learned E?can you tell me how you started? After what I've seen on your website I'm sure you give great value to your students as we all, teacher of English should do. Keep up the good work! Hi everyone my name is Angelo Arellano, 20 years old and I'm from the Philippines. My Skype name is sanpatarson, I really want to drill in English. let's practice engish together ! Where are you living now? Give me your number? Would anyone can tell me which lesson set should be started first? Power English? I'm in the middle of so many great materials. Thanks. Thanks alot AJ Hoge, your method is just fantastic. It seems true that the first step to success is to find the right way. Your learning system imitates the way the native speakers acquire their language. Simply it is powerful. I just finished listening to 'Models' talk in Power Eng and intending to set up a peer group. Would anyone like to join the group with me? We will share the aim of great success in Eng speaking. hi, i've just listened to commentary named Connection in power english. that has inspired me alot to write abit about me in this forum. i live in Viet Nam, I idolize Adam Khoo and Aj Hoge. My passion is being rich, and one of my dreams is to meet and take some photos with my idols. i love US-UK movies and i like the travel. if anyone feel curious about me, i hope we can make friends. hi , i want to buy the original course but it ask me for the promo code and i don't know what is it? can any one help me and tell me what should i do and how can i get it? Hi everyone, can you please tell me how to join the forum. Can Anyone tell me are there some problems with server because i can't login to my Power English account.I keep getting the message that my password is incorrect even i know is right? So glad to know you have achieved something with effortless english. I find this method somehow very useful in E speaking speed up. Just one question, do we need at least 1 week to listen the whole set while we can actively repeat by ourselves everything in a couple of days? I bought Effortless English program today. I want to ask some questions to old members. Does this program works really? Can you speak fluently and understand real-time? How long did you listen this program? How many months later can i get some positive results? yes this system will work perfectly but dont really consentrate 100% of it. hi every body. i'm so glad to find a place to practice and improve my English . What are you doing that's Interesting ? I need to skillful in English because my company is foreign. hello there, today I realized that by listening to people and hearing from them, their problems, their worries, makes you feel that you are not the only one. Actually sometimes it may make you feel shy, as your worries are nothing as compared to theirs. So whatever your worries are, remember that somehow somewhere there is someone who is more worried, more depressed, may be even in a worse state than you are. So thank god for that. stay blessed. I have heard these lessons every day one hour in the course of two years. And now I can to speak easier sentence ..
Hi everyone, I'm a newbie. I want to improve my English speaking skill as well as Listening skill. Nice to meet everybody. Hi how are you, with the ministories lesson you will improve your pronunciation. nice to meet you. i'm huy i'm learning effortless english, may i can speak skype with you? hi, i'm huy.nice to meet you. i've learnt effortless english for 2 months, but its very effective method. hi guys can someone be my friend here and can help me to speak in english automatically without even thinking of it, thanks? Hi A.J my english is so so. I can read well but when I listen, I usually can't understand very much. Even though, when I talk with a person who come from German or Indian, I usually can hear them and talk to them. But I can't understand well when I watch a movie or a show. What's wrong, A.J? Can you help me? Is anyone who like to speak to me. I would really appreciate it. about your method.it,s agree with natior , I have alot to say may be latter. I listing to Aj since ten month. and I just finished attractor factor I Do so slowly because i loved the lesson repetition that made repeat and repeat and repeat is that good ? I still can not speak,need to converse with some one but no response only chatting .how can I pass this stage ? I like this method. It's very interesting to speak an learn english more easier. I'd like to practice with people from other different cultures, you can add me to skype, my username is omercame. Thanks! hi everybody, great to chat here! I wanna learn english. I feel great! Hi firends, i am looking for person, who wants to have conversations fith me, for english language learning. My english is not good, so I am try to improving english skill by Effortless English method. can we use both power English and real English at the same time ? I have a short question: are idioms necessary in everyday life? They are difficult for me and I prefer learn other things but leave the idioms now is a good or bad decision? I don't think idoms are necessary in real communication unless you need to live/communicate in a native english country. Hi people! I am Pavel and I live in Russuia in Saint-Petersburg city. Everyday I learn effortless English. On weekends I walk on the city with my friends. Effortless English is really very cool staff! Hi ,,, How are you all .. I have a question about something I can't understand on every lesson on POV sets !! Hello! I'm working on this method since 3 months. I want to know if I'm improving. If somebody is more or less in my situation or just want to speak by skype, my username is: jumper_1995 ... Thank you! A.J thank for your wit and teach on me. I am Hein Thiha Zaw and from Myanmar. You know my nation is just a developing country and English learning in my nation is really poor. And it's not a official language of my country. I believe so, many of the people including me think English is difficult and tough. Most of the student in my country don't like English and you know also I am. But after studying your power English wooowww.... I feel great and love English... I will study English whatever I am.. Thank A.J. Someone would like to practice with on Whatsapp? My telephone number is +5519992266817. Do I practice grammar or not?